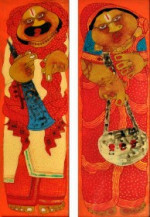 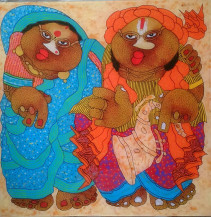 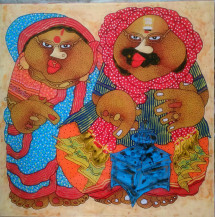 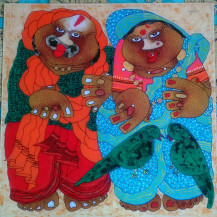 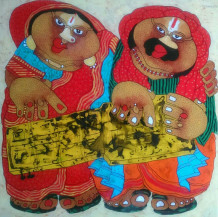 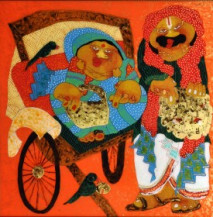 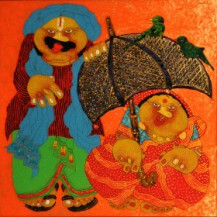 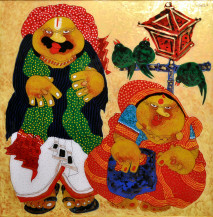 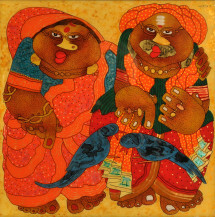 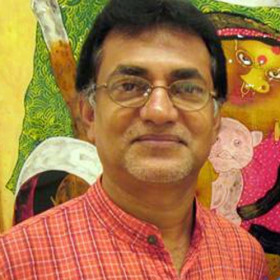 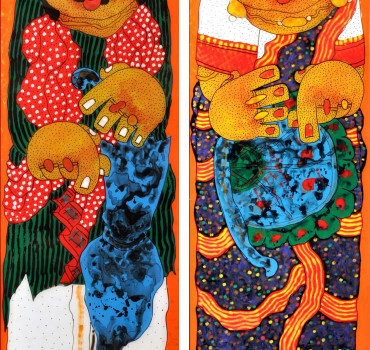 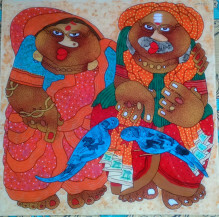 Mukherjee was born in 1961, and spent all of his college years in Santiniketan, first completing his BFA in 1987, and then his MFA in 1989 from the Rabindra Bharati University. 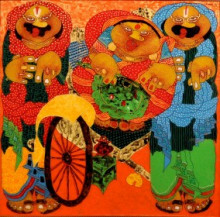 He is an artist who has spent his entire life in Calcutta, only venturing out to attend showings of his works, and only speaking in Bengali. 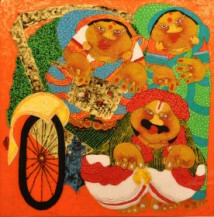 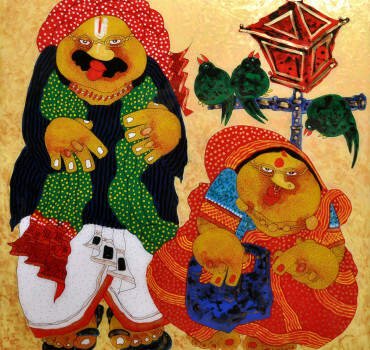 Mukherjee's favourite medium is reverse oil or acrylic painting on transparent acrylic sheets, and he swears that although he may change his themes and subjects, inventing new ones for new shows, he will never give up painting in this medium. 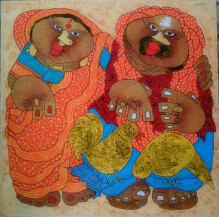 Baba and Bibi | 24" x 24"
Baba Bibi- 1 | 24" x 24"
Baba Bibi- 2 | 24" x 24"
Baba - Bibi I | 36" x 12"
Baba-Bibi 1 | 24" x 24"
Baba-Bibi 2 | 24" x 24"
Baba & Bibi (Panels) | 35" x 12"